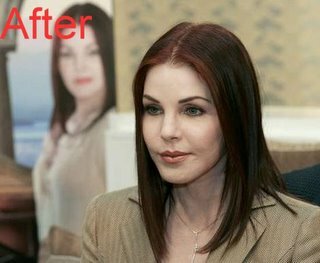 I hope that botox in her face doesn't effect her dancing abilities. Can the woman even move? Her face is frozen. Freakish. Well, she was 20 some years younger in the Naked Gun movies. Do ya think she looked better then? DUH! I think she looks pretty good for 62 years old. I have to apologize to you Dr. Youn. I'm the one who posted the comment that said she looks good for 62 years old (I based my opinion on the "after" pic on your website), but I just saw her on Dancing with the Stars and she looks awful! My God! What have they done to her? My apologies to you. I will never doubt you again!! My wife and I watched Priscilla on "Dancing With The Stars" and my wife kept saying "her face doesn't move when she speaks." Your site showed up at the top of a Google search and confirmed what my wife suspected: too much plastic surgery. Although after reading your comments it sounds more like it was just a case of "bad surgery." how sad. an exquisitely beautiful woman who has done such a regrettable thing. I don't think Pricilla looks that bad at all especially considering her age at least still looks like the same person not like Rogers or that Dirty Dancing actress. Thing is like with Jackson to others may seem extreme but if that's how he wants to look or anyone it's their choice..